Spicy Aloo muttar is the versatile & all time favourite muttar recipe. 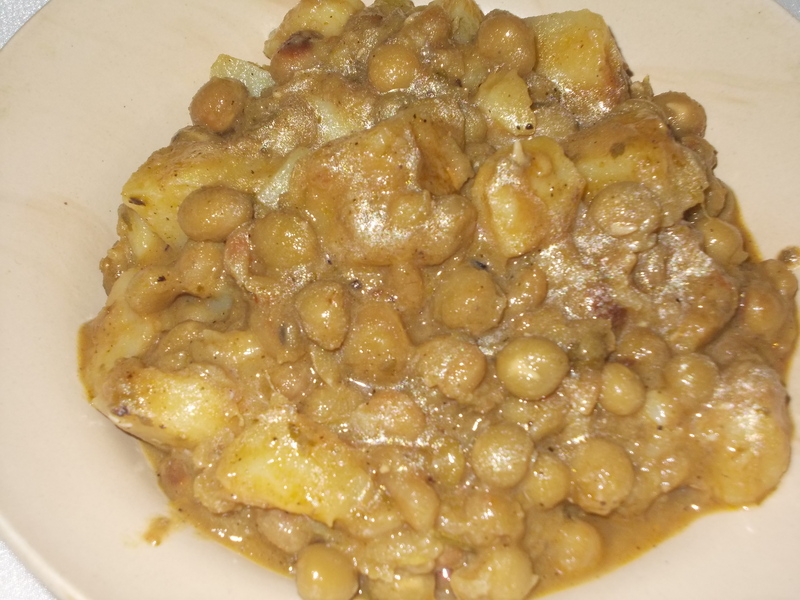 It is a North Indian healthy vegetarian dish. Add onions & stir till golden brown. Add potatoes, turmeric powder, green chilli paste, sugar & salt. Stir well for 3 minutes. Add ginger paste, tomato puree, green peas & one by one & stir. Add 1 cup of water & cover. Cook till green peas become soft. Add cumin seed powder & coriander leaves paste. Mix well & remove from heat. Serve hot with paratha.